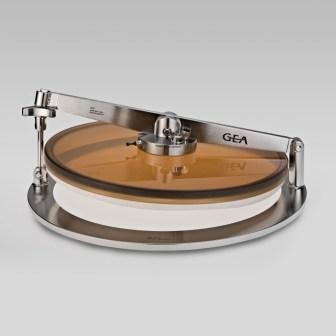 GEA Service, Düsseldorf, Germany, recently launched its new VISIOCOVER™ Upgrade Program for the safe visual inspection of non-sticky-powder processes in the dairy, food, chemical and pharma industries. For customers currently using SANICOVER™ to monitor their powder flow, fluidisation and cleaning, the upgrade provides three standard sizes to match the SANICOVER systems. Installing the VISIOCOVER on existing SANICOVER installations is said to be easy and allows the technician to safely inspect the production without opening the cover, which would risk contaminating the product. The VISIOCOVER Cam with integrated light source allows remote visual inspection through a video signal feed. VISIOCOVER is a transparent sanitary cover for visual inspection and process access, with a remote monitoring option based on the proven SANICOVER hygienic design and compliant with EHEDG guidelines. Thanks to the embedded camera and lighting option, VISIOCOVER can provide a detailed real-time view of the powder flow and fluidisation and can assist operators in optimising shutdown and start-up procedures. The large, transparent cover allows an unimpeded view of the process. Embedded LED lamps and process-side air curtain ensure good visibility. An integrated wide-angle camera provides the control room with an excellent view of the process, enabling the operator to obtain visual confirmation of the presence of powder or the degree of fluidisation during start-up. During normal operation, many standard checks on the process can be performed from the control room.